This post contains affiliate links. I may earn money from advertisments, at no cost to you. The opinions expressed in this article are based on my personal experience and research. They do not necessarily reflect the opinions of the companies mentioned or advertised. The 52 Ancestors in 52 Weeks challenge this week is Misfortune. There are many stories of tragedy in any family, however, the story that has always made me sad is the events that unfolded in my grandma’s family in 1944. The year was 1944 and World War II had been raging for 5 years. Australian’s were war-weary and the constant wait for news of their sons fighting would have drained them. My great-grandparents Fletcher and Gladys Brand were like many others, waiting for news of their son, Al, who was serving in the military. They hoped that he would return to them safely, yet, they were all too aware of the fickle nature of war. The family was continuing on as best they could, working their dairy farm in Mt Helena, whilst trying to stay optimistic. 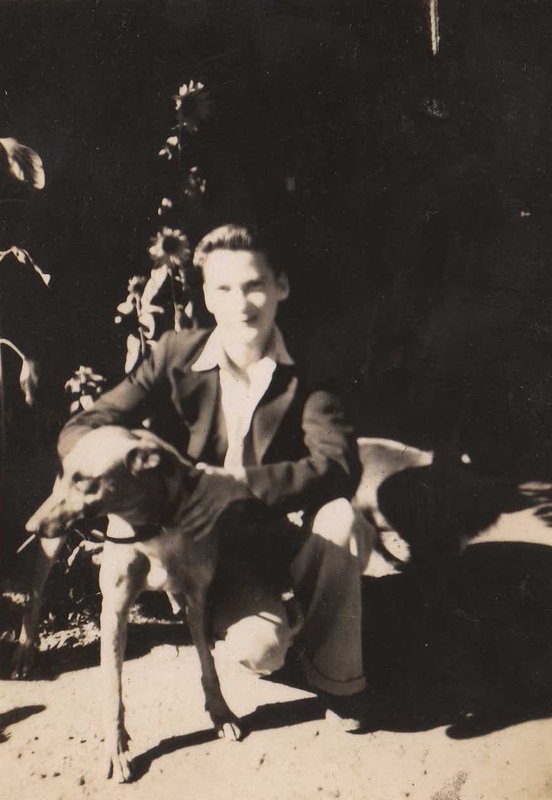 Their eldest daughter Marj (my grandma) was pregnant with her first child and the family eagerly awaited the birth – a positive in such a time of tragedy. The other children Dudley, 20, Donald, 16, and Gwen, 12 all did their bit to provide for the family. The shock of Donald’s death sent Marj into premature labour with my mother, who was born just over a week later. The family were even more worried about Al. Thankfully he arrived home safely at the end of the war and the boys were often fondly remembered. What misfortune have you discovered in your family history? Please leave a comment below. 1. 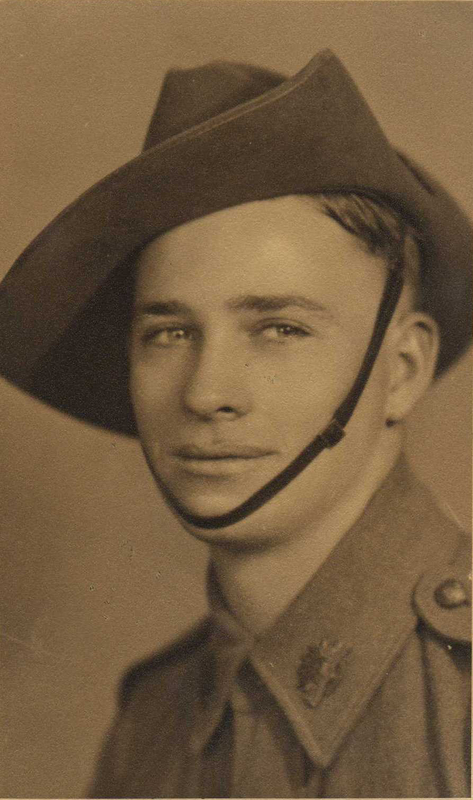 Australian War Memorial, Kenneth Norman Hilton Butler, Roll of Honour, R1690166, https://www.awm.gov.au/collection/P10293468, Accessed 3 April 2018. 2. Australian War Memorial, K S Lance, Service Number: WX15951, Prisoner of War Record, https://www.awm.gov.au/collection/R1452422, Accessed 20 April 2016. 3. 1944 ‘Killed Instantly.’, Western Mail (Perth, WA : 1885 – 1954), 22 June, p. 46. , http://nla.gov.au/nla.news-article38554896, Accessed 11 October 2016. 4. 1945 ‘Saw Breaks, Kills Boy’, The Daily News (Perth, WA : 1882 – 1950), 17 January, p. 5. (City Final), http://nla.gov.au/nla.news-article78769107, Accessed 11 October 2016. 5. Metropolitan Cemeteries Board, Western Australia, Burial of Dudley Hilton Brand, Application Number: KB00074897, Accessed 11 October 2016. 6. Metropolitan Cemeteries Board, Western Australia, Burial of Donald Raymond Brand, Application Number: KB00076139, Accessed 11 October 2016.
a. C.1943 Hilton Dudley Brand, Original in author’s possession. b. C.1944 Donald Raymond Brand, Original in author’s possession. This is an interesting way to build a family tree! I’m inspired and though I am not as ambitious as you I am certainly curious about my family history and bloodline. I am with great interest going to follow your endeavor. Thank you for your positive words. I wanted a way to share my research and as I have relations all over the world this is a great way to do that. My kids haven’t really shown a great interest in genealogy – their eyes tend to glaze over and get that “oh she’s talking about genealogy again” look. This way I can share with like minded people. When you start your family tree please come back and ask any questions you may have! This is a very interesting article. It is ironic how events can occur. I don’t want to say bad luck seems to follow some families but it sometimes feels like our family has more mishaps than others. We had a family member in the hospital, we went to visit them. we got into a car wreak right outside the hospital. It is funny how it seems to run in stretches too! We had a year where my dad was seriously ill in one hospital and my grandmother in another the other side of the city. Made it very difficult! I hope you were all okay after your car accident. I never get tired of reading your ancestry. I haven’t had a lot of luck finding out from my ancestors but when i read these events of the past…although some very tragic, I want to learn more! I look forward to your week to week post! I am so glad you are enjoying my blog. I love writing about my ancestors and I am so glad these stories are bringing joy to others. It was a very unfortunate time for my family.